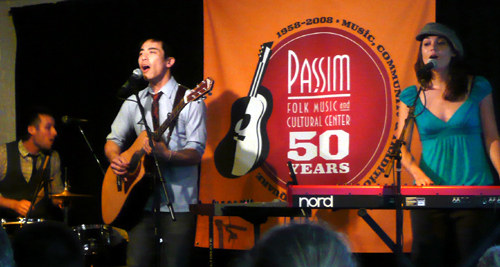 If your in the Boston/Cambridge area this weekend be sure to swing by Club Passim’s awesome Campfire Music weekend festival going on all weekend through monday night! This is their big 10th year anniversary throwing this event! Lots of great tunes ranging from guitar, cello, violin, banjos, beatboxing, singing, piano, and tons of other great folk music live while dining in on veggie planets tasty food! I’m there most of this weekend with friends, so throw me a note if your going or look out for me. Wow… Ubiquity by Mozilla labs is pretty freaking cool. Kind of an advanced user type of plugin, but some definite worthy features I’ll adapt to over time. “Today we’re announcing the launch of Ubiquity, a Mozilla Labs experiment into connecting the Web with language in an attempt to find new user interfaces that could make it possible for everyone to do common Web tasks more quickly and easily. * Use Trust networks and social constructs to balance security with ease of extensibility. 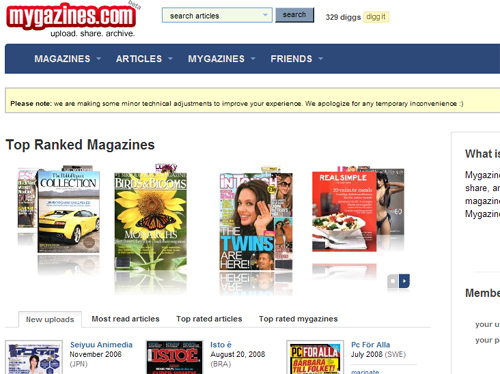 Add the ubiquity plugin here. I know this “pixel/make my desktop physical” trend is somewhat old, but I just had to post this cause it seemed right though the price is somewhat questionable. I might have to pick one up along with the metal “folderix usb” stick! 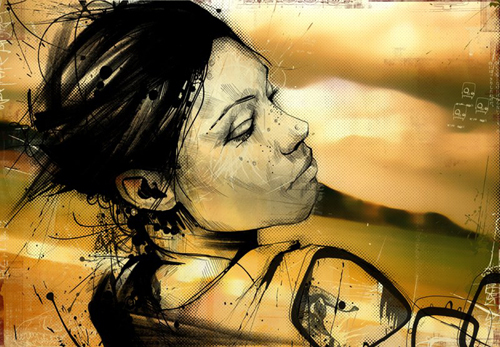 Some neat illustrations by Russ Mills! Thought of the week: Keep trying and believe. 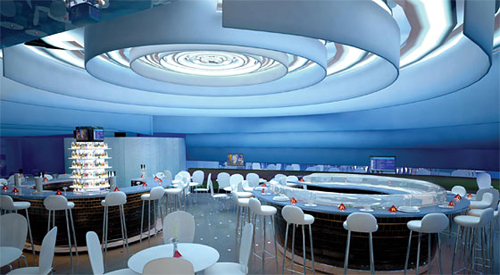 – A peek into Jetblues new restaurant terminals! – Made in USA shirt in Chinese. – Flower Foaming Fire Extinguisher. – Wifi Heatmap..kinda nerdy, but kind of works. – How to get into any club by pretending to be a DJ. – A very bad paramedic! – Windows Error page projected during Olympics opening Ceremonies! A few of my favorite magazine subscriptions just ended and my shelves are packed full of old issues while my sustainability side urges me to save paper…what to do! Sweet. I’m not sure who’s going to scan and upload all the pages each month, but it seems like someone does because most of my favorite magazines are on there with really nice scans, along with a snazzy GUI for navigating them. None of the fancy $100 mags, but the basic sets from the airport are up there! 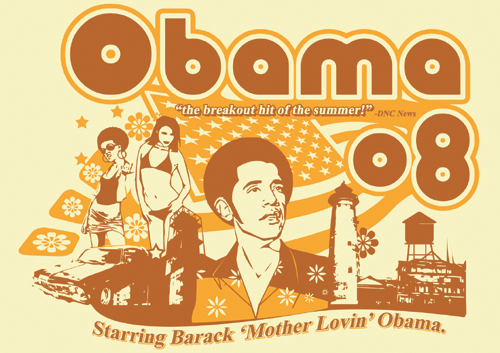 The Obama brand is everywhere yo! a few shots after the jump! 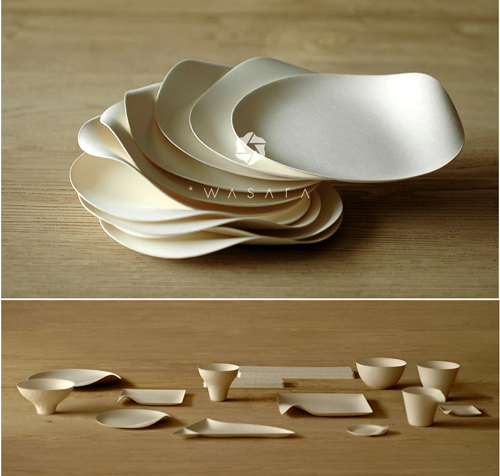 Oooooooooo, my gosh, Wasara makes some unbelievably beautiful paper tableware pieces with a very keen sense in Japanese aesthetics. I especially love the slight curves in the plates to fit around your hand. I’m not sure if I’d ever want to throw these plates away but they are eco-friendly in manufacturing and in material. If your seeking something more sturdy you can always buy the beautiful plastic “Tast.es” object though there is a beauty about 1 time use paper plates. 1 more picture after the jump of each piece. Avatars have always been a hit online along with emoticons and especially after the Wii came out with the awesome Wii Mii’s. 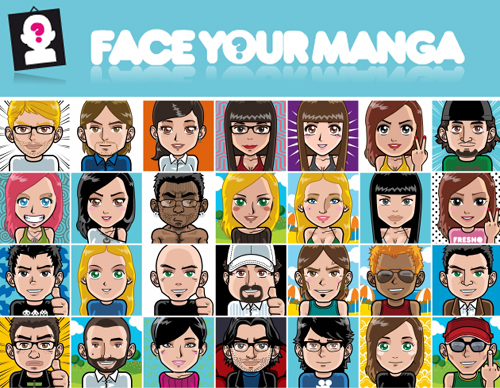 So why not create your own Manga Avatar here! How clever… a napkin for your keyboard which let’s ya keep typing without a worry in making a mess! So grab that sandwich oozing with cranberry sauce and type away as you get your lunch geek on!